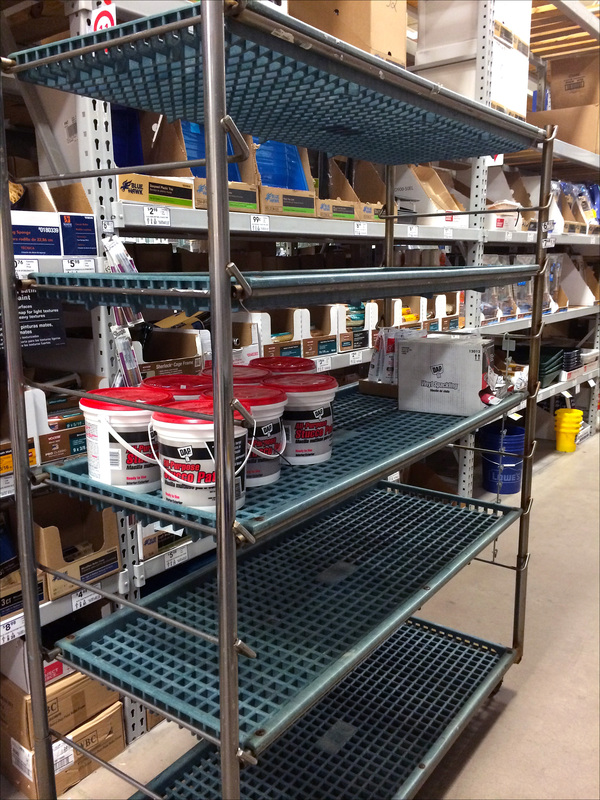 Plastic Grid Shelves replaced Solid Metal, Open Wire or Expanded Metal on this Transport Cart. Corrosion resistance and durability might be the sought after advantage pro. The cost of such a large and deep (i.e. thick) mold might be the con. Not a plastics expert, this has a rotomolded look even though not shell-shaped like a kayak or bin. I’ll let you to judge the applicability to your needs. 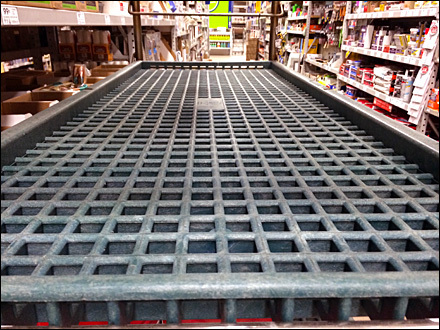 Click the thumbnail and Plastic vs Grid vs Expanded Metal Transport Cart gallery of images for various views. And follow this cart further directly below. “Expanded Metal Pinterest Board“ for a visual summary.